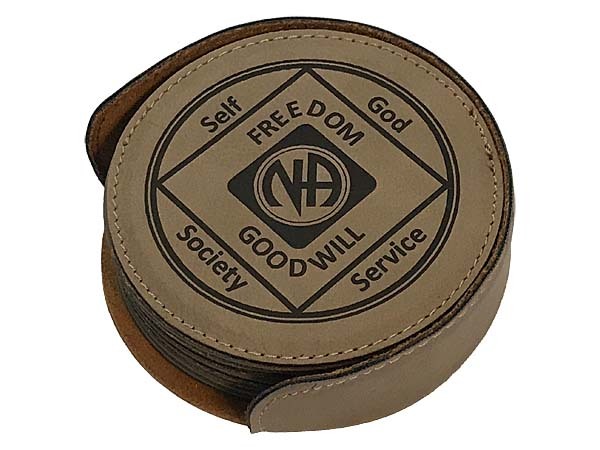 Leatherette NA Recovery Coasters, Six Narcotics Anonymous Medallion Design Coaster Set, Personalized and Customized 12 Step Recovery Gifts! 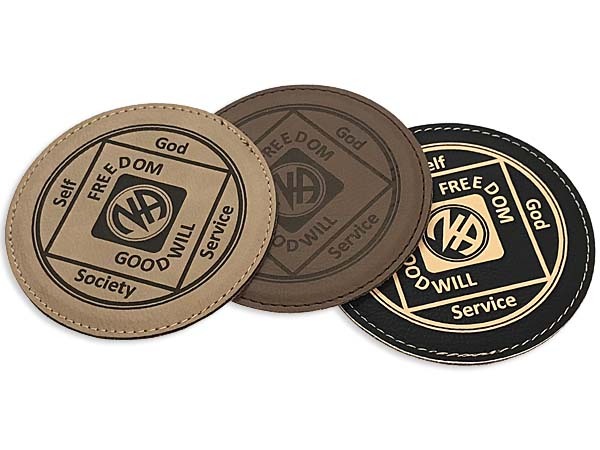 These unique leatherette recovery coasters are made to look like our traditional NA medallions! These will standout beautifully in your home, clubhouse, coffee shop, central office, or home group! 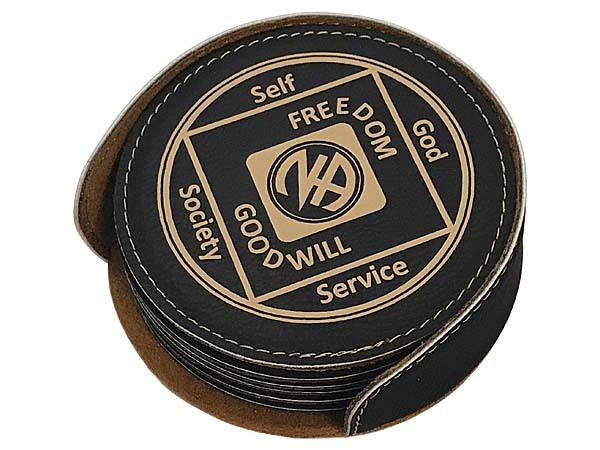 Each set contains six coasters measuring approx. 4" inches in diameter. 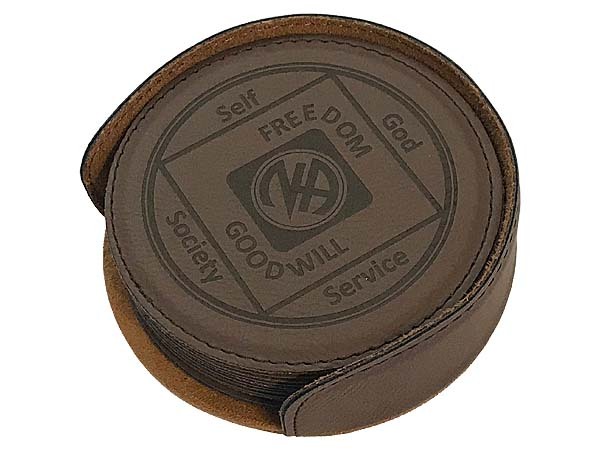 The leatherette coaster holder is included with each set! We welcome your ideas for designs! Custom coasters are available, too! Simply Contact Us with your design requirements.